Roy Keane has been appointed manager of Championship side Ipswich Town. 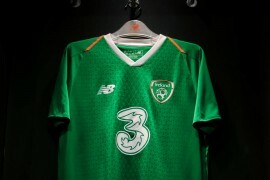 The former Manchester United midfielder and Republic of Ireland international has signed a 2 year contract and replaces Jim Magilton who was sacked on Wednesday. I truly believe I am joining a club that has the potential, ambition and infrastructure to once again be a Premier League side. The club’s owner (Marcus Evans) and chief executive (Simon Clegg) impressed upon me their total focus on achieving this quest at the earliest opportunity and I can’t wait to get started. It’s understood that the Evans targeted Keane over a week ago. Since arriving at the club, Evans has spent £12 million on new players but became frustrated as the East Anglian club missed out on a play off spot. Coach Bryan Klug will oversee this weekend’s game at high flying Cardiff City although Keane will be in attendance.